We talk about leather jackets a bit more often than we ship them. But guess what? Sometimes we walk the talk. Take this one, for example: It’s a William Barry G1 Shearling Bomber Jacket. Made in the USA and with all the right details, the style of Talon zipper here helps us date this to the 70s. It also helps that my good friend John wore the same jacket for years; he got it from his father, who’d had it since then. We shipped this one off to Brad in New York. Read the full letter and see more photos below. 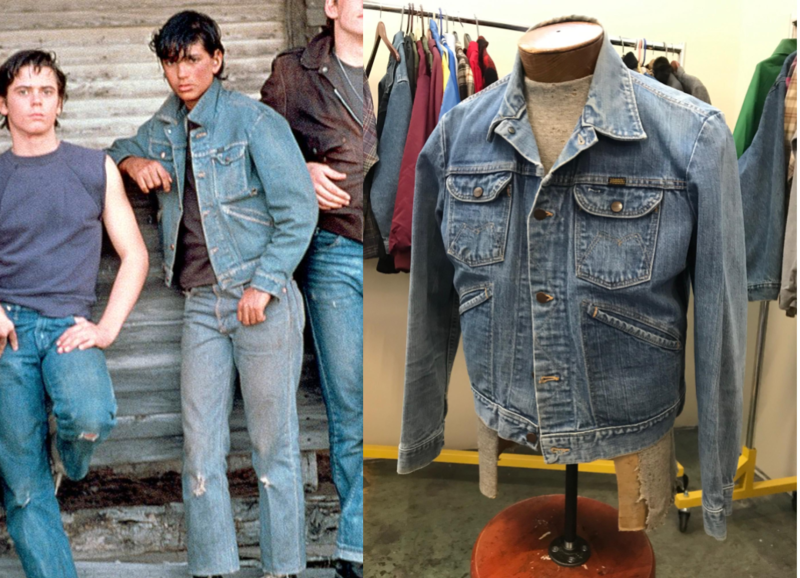 We love to connect clothing with popular culture, so I’m surprised it took so long for us to reference The Outsiders, the 1983 Francis Ford Coppola-directed launch pad for Rob Lowe, Tom Cruise, Emilio Esteves, Matt Dillon, and Patrick Swayze. It also stars Ralph Macchio, who throughout the film wheres the same jacket we just shipped to our long-time subscriber Jeremy. This guide will help you purchase affordable and ethical plain white t-shirts by helping you navigate the market for deadstock and vintage basics. A whole lot of brands have tried to offer ethically and sustainably made basics. Some have succeeded! Others have not. After all, it’s hard to raise the price on something so many are so accustomed to getting so cheap, and brands struggle to sell cheaply something made from quality, ethically sourced materials and made by fairly compensated workers. While we can’t speak with certainty about manufacturing and farming practices in the 70s and 80s America, we feel confident saying it’s better for everyone to use what already exists. Below is a guide to navigating the world of deadstock basic t-shirts, where it’s possible to get a brand new well-fitting white tee for $10-$20. If you’re looking for more information, check out our comprehensive guide to vintage t-shirts. We rarely ship sneakers here at Comma Vintage. That’s because we want to stick to our guns and only ship true vintage. As much we think that the Converse All Star is timeless, we aren’t shipping used ones from 2014. Why should you wear vintage clothing? Here’s a few reasons. Thankfully, washing machines and style tips exist. But if you’re looking for motivation, we here at Comma Vintage think there’s a lot more to it. The Rana Plaza collapse killed over 1,000 persons. This guide is designed to help you buy a vintage Harrington jacket at a thrift store or on eBay. If there’s one garment that sends a blogger into an image-searching tizzy and a defense or an attack or a poorly nuanced commentary on masculinity and style and cool with a capital C-you-later-tonight, it’s the Baracuta G-9. A whole bunch of famous men wore it. Many of those famous men were certifiable assholes. Others were pretty cool. The characters portrayed by actors wearing the jacket fell somewhere in between. 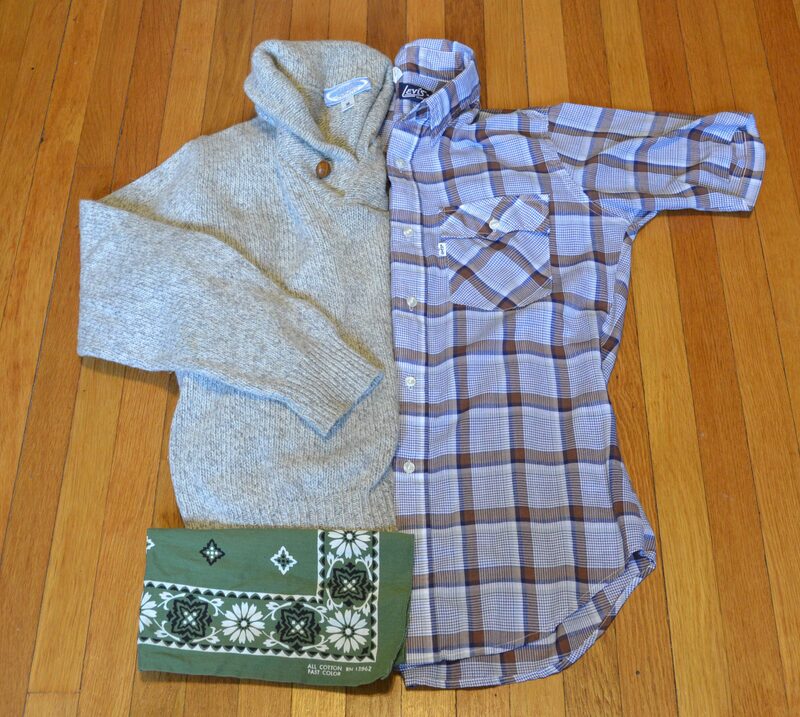 Stylistically, the jacket itself falls somewhere in between, too. It looks good over a shirt and tie. It looks good over a t-shirt. It fits a little frumpily, or maybe that’s just calculated nonchalance.